This catalog has smarter URLs enabled. Each product has its category slug in the URL. Best clothing for men and women! Clothes can be made out of fiber plants such as cotton, plastics such as polyester, or animal skin and hair such as wool. Humans began wearing clothes roughly 83,000 to 170,000 years ago. 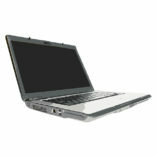 This great laptops make use of product attributes feature. By the way - this is a product category description! Use it wisely to boost your search engine rankings. Use this short description not only to describe your product but also to gain the user attention. This small laptop has all you need to do your everyday job. Super short description of this gaming laptop.